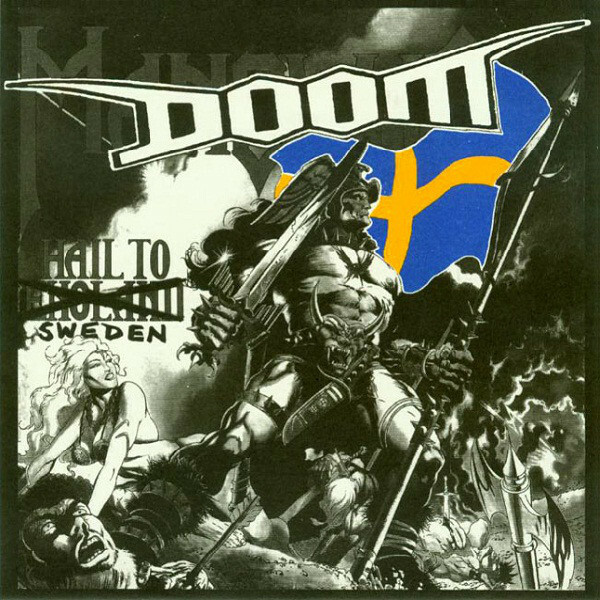 Doom's 1994 EP 'Hail to Sweden' may have been born out of nothing more serious than a cider swilling session (is there anything more serious to a young punk?) but its lasting impact has been enormous, serving as a gateway drug to the Swedish scene for young crusties such as myself in the pre-internet era. Doom managed to stamp their signature sound onto all of the tracks featured and create a ferocious record which does not let up from the moment the needle hits the wax, with their devastating version of Mob 47's animal rights anthem 'Stop the Slaughter' being a particular highlight. With the Mob 47 tour of The North coming up fast I asked Doom guitarist Bri would answer some questions for me about the origins of the EP and the influence of Mob 47 on their early work. Enjoy and see you at the gigs! How did you go about choosing particular bands and songs for the EP? Did all members choose tracks or was it more down to one or two member’s choices? It was all of us at the time, but there was never any question of leaving bands like Discard or Anti Cimex off it. Were there any tracks which the band wanted to cover which just didn’t work or you couldn’t agree upon? Not that I recall. It was probably more of a question of whether or not I could actually play the songs. I mean the guitar string bend on “Take a Look at Tomorrow was at the very limit of my guitar playing ability (touch & go) & still is. Mob 47 are returning to the UK this February for dates in the north of England and Scotland, do you remember where you first heard their song ‘Stop The Slaughter’ and do you have any thoughts on what makes it such an enduring anthem? It was more than likely on a cassette tape that Nik Napalm had done for me. Thats where I first became obsessed (its his fault). I have always (since being into Punk) been concerned about animal welfare/rights & we’d done anti vivisection songs with the Subverters too, so I guess this song always stuck out to me lyrically. 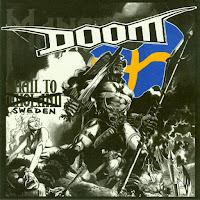 Are there any plans for Doom to record another covers EP, a hail to Japan or a hail to Bristol for example? No, nothing planned. Although a Hail to Trump's dead festering corpse perhaps?